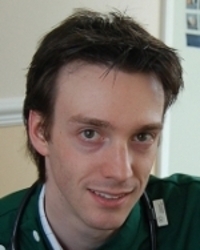 Bradley studied veterinary medicine at the University of Liverpool and also has a degree in pharmacology from Kings College, London. He enjoys orthopaedic surgery and performs most of the ultrasound investigations in the practice. Much of his time at home is spent with his young son, Joshua. His little free time is spent on DIY, making music, walking, or writing computer software. He is an active member of the Veterinary Christian Fellowship. 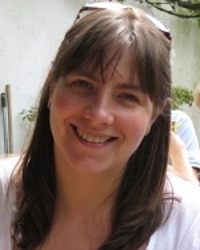 Jane qualified from the Royal Veterinary College in 1996 and has worked at the practice since 2001, with brief absences to care for her two girls. She enjoys all aspects of general practice, but has a particular interest in 'small furries', especially rabbits. She currently cares for two guinea pigs and two rescued rabbits of her own. She enjoys taking her dog, Tuppence, for long walks in the country when time allows, and also likes to relax with a good book. 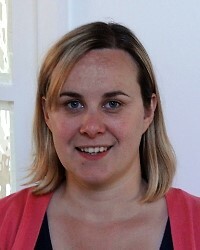 Claire qualified from Edinburgh in 2006 and after a brief spell in mixed practice moved to Kent in 2007 to work in small animal practice. 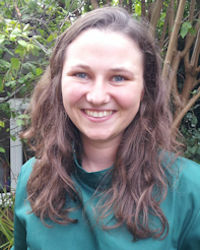 She enjoys all aspects of general practice particularly small animal medicine and pain management. In 2011 she completed a course on acupuncture and finds this a useful tool to combine with regular treatments to help animals with osteoarthritis and other painful conditions. Her spare time is taken up looking after her son, Edward, Jim the dog and Peter the cat and when time allows she enjoys yoga and swimming. Drew qualified from the Royal Veterinary College in 1995. 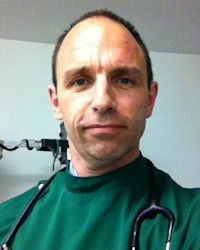 He has had a varied veterinary career, having worked predominantly with small animals, but also with farm animals and horses in mixed practice. Drew has also worked as a government vet with DEFRA, and as a Veterinary Adviser in the animal health pharmaceutical industry. Drew enjoys the day-to-day interaction with clients and their pets. He is interested in all aspects of veterinary work, but particularly enjoys ophthalmology. He loves to spend his spare time with his family. He is married to Jane, who works as a vet at the practice and has two lovely daughters. Drew is a big Doctor Who fan, and hopes one day to have his own Tardis. Sarah, who graduated from the Royal Veterinary College last summer, has been a frequent visitor to us on work placements during her studies. Originally from London, Sarah has moved to the area with her husband, Tom. Sarah enjoys all aspects of veterinary medicine and is particularly interested in poultry - last year she took on six rescued ex-battery hens. In her spare time, she enjoys exploring new places, walking and camping. Helen qualified from the Royal Veterinary College in 1987. She started working as a vet for the RSPCA and PDSA then moved into private practice. After a career break she returned to night and emergency work in a veterinary hospital but is pleased to be back in general practice which she enjoys. Her spare time is spent caring for assorted pets, walking, gardening and sewing. Diego qualified from the Complutense University of Madrid in 2016. During his third year he worked with large animals at the University Hospital, then spent his last two years in the department of small animal ophthalmology. Diego's main goal has always been to work abroad and to keep growing professionally and personally. He loves reading, travelling, listening to music and talking to people!